The ODI and CJ discuss what 2 shows they would combine in our new Weekly Topic section. 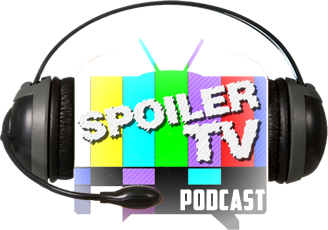 We talk about the latest episodes of Fringe, Awake, Person of Interest and CJ roundups with Supernatural, Castle, New Girl, Big Bang Theory and Touch. We also discuss some Movie News. The ODI and CJ are back with their views on the latest TV and Movies. We talk about Fringe (4x16), the latest episode of Awake (1x05) and the latest helping of Person of Interest (1x18). And CJ rounds up some of the other shows out there including Castle, Supernatural, New Girl, Big Bang Theory and new show Touch. We finish off with the latest movie news including the new trailer for Total Recall. Weekly Topic: If you could combine 2 shows together to make an even better show, what would they be? We would love to hear your opinions on what 2 shows you would combine and why below in the comments or via Email or Twitter. So let us know and we may discuss some of your choices next week. The audio podcast is live on itunes and available to listen or download below. Also don't forget to subscribe and review!